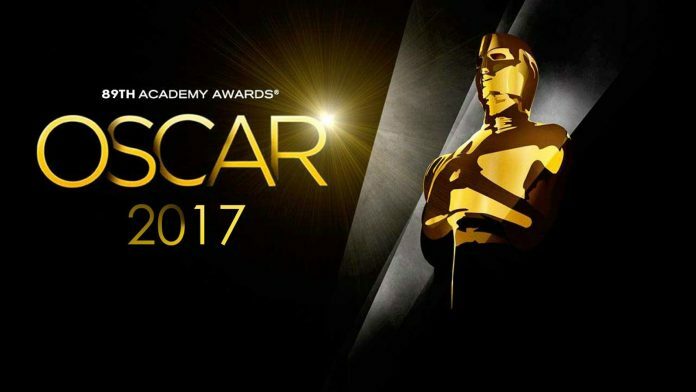 The nominees for the 89th annual Academy Awards are here! Popularly called the Oscars, for the golden statue handed out to winners, this year it will be taking place on February 26, 2017 at the Dolby Theater and hosted by Jimmy Kimmel Live! star Jimmy Kimmel (who is reportedly being paid $15,000 for the gig). The nominees for the 89th Academy Awards were announced by a number of previous winners and nominees of the prestigious Oscars including Brie Larson, Jennifer Hudson, Jason Reitman, Ken Watanabe and Emmanuel Lubezki who were accompanied by the Academy’s President Cheryl Boone Isaacs. From the look of it, La La Land comes in at the top, cinching nominations almost under every category it could possibly be nominated for! Manchester by the Sea also looks like a great contender, as does Hacksaw Ridge.